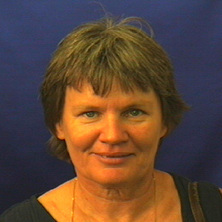 Dr Mary Laughren’s research interests include syntax semantics interface, lexicography, language in education, and Australian Aboriginal languages. Dialect Differentiation, Phonetic Change, and Phonological Restructuring in Warlpiri. As an associate superviser, I am interested in co-supervising work on topics directly related to either Waanyi or Warlpiri languages. Nhanda: An aboriginal language of Western Australia. Selected papers from the 2006 Annual Meeting of the Australian Linguistic Society (2007) . Edited by Ilana Mushin and Mary Laughren. 2006 Annual Meeting of the Australian Linguistic Society, 7-9 July 2006, St Lucia, Australia.